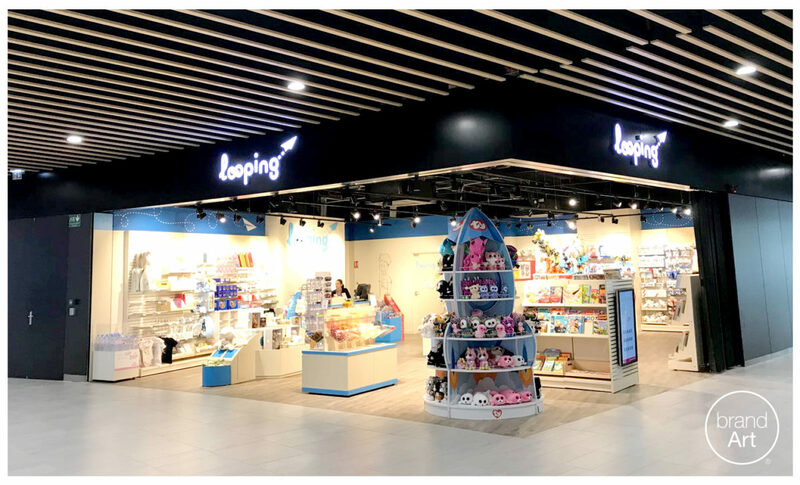 We’re in France today and really pleased to see how well the newly opened Looping boutique in Lyon Saint Exupery Airport looks. 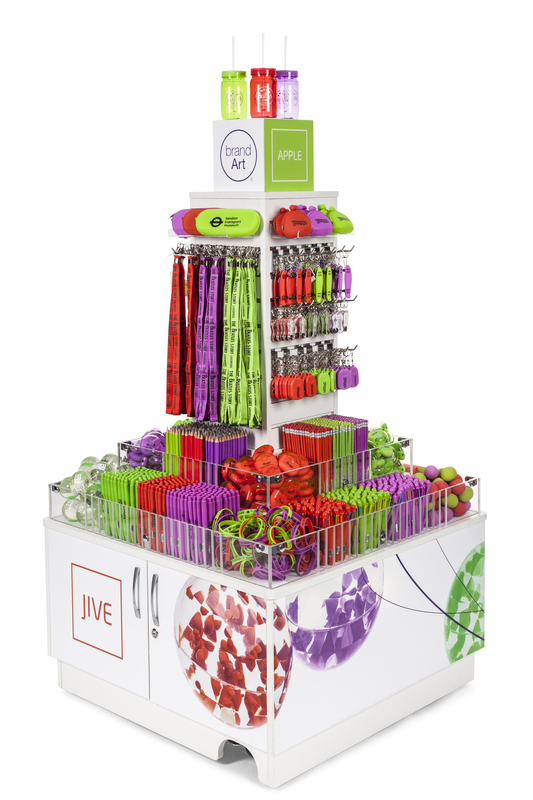 The buyer has chosen our Zing MATCH products to sit alongside their products and wow, do those colours POP! You can see on the above images that our Zing colour scheme (made up of the colours Ocean, Mango and Coral) has been chosen from our MATCH range of products to sit well with the ‘Looping’ branding. You can also see our sleek silver keyrings from the BrandArt CHROMIUM range sitting alongside products from other suppliers. 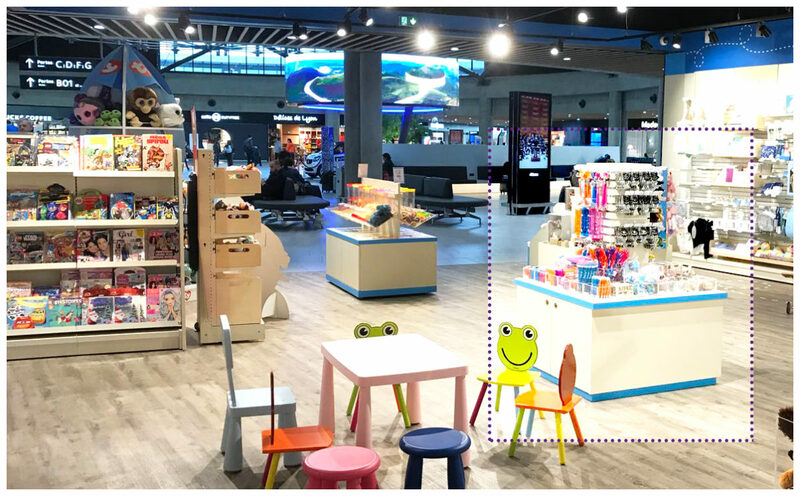 All of the BrandArt products chosen by the buyer have been customised with artwork that we have printed onto the stock especially for this Looping boutique store. 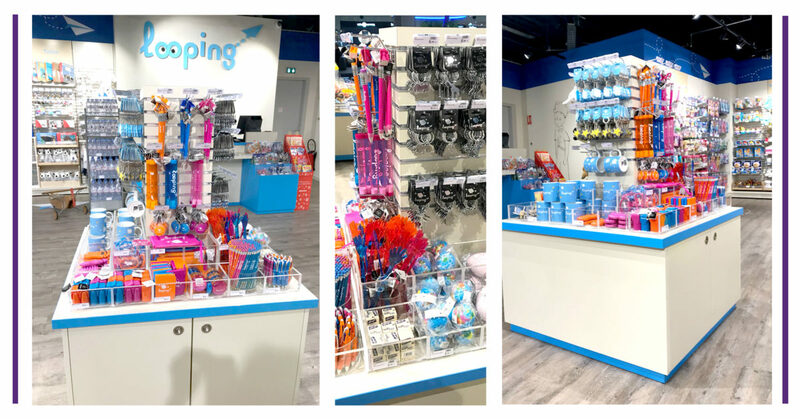 The result of careful planning and savvy buying from the Looping team is a well coordinated store that looks planned, calm and clean. We’re really proud to have our products on display here and we’re chuffed to see them shining so brightly. We love the uncluttered, spacious vibes and the clean-cut lines of the retail display. Without a doubt this is a modern brand that is going places. Our aim at BrandArt is to supply creative artwork that incorporates your branding. We print it onto our good quality, attractive products and with the aid of a dedicated account manager, we make this one seamless process to make our customer’s life as easy as possible. We are proud to be able to offer low MOQs with a quick turnaround (approximately 10 days for our MATCH range, pictured). And we offer all of this with quality and care. We are constantly researching new product ideas to keep our offer fresh and fun. Let us know what would make your life easier. We listen to our customers and take on board feedback to offer you the best solution for your retail needs.